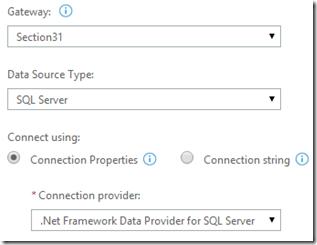 Within the Power BI Admin Center, if you go to System Health, you will see an error listed there. When we go to the Data Sources in the Admin Center, we see one Data Source listed. 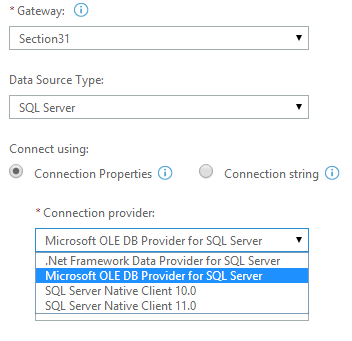 This data source is configured to use the .NET Provider for SQL Server. 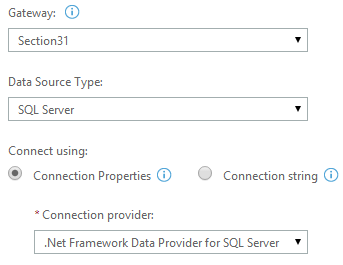 When we do the Scheduled Data Refresh operation, we use the connection string within the workbook, to match against a configured Data Source. 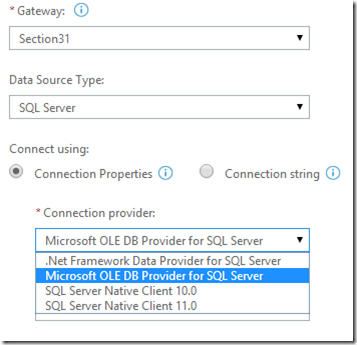 In the example above, the workbook was using the SQL Server OLEDB Provider that ships with Windows. Our data source was configured for the .NET Provider, so we couldn’t find a match and therefore failed. To resolve this, we can another Data Source that uses the SQLOLEDB Provider. Once that data source is configured, the refresh will start working at that point, as it finds a successful match.